The GRAND OLE OPRY has revealed the lineup for its annual “Salute The Troops” show on TUESDAY, MAY 21st. TRACE ADKINS, BRANTLEY GILERT, LEE GREENWOOD, CRAIG MORGAN, THE WILD FEATHERS and MARK WILLS are set to perform. 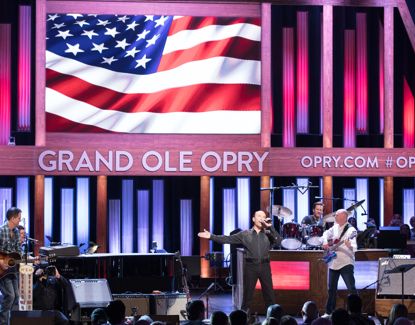 The OPRY and the UNITED SERVICE ORGANIZATION (USO) will invite men and women of the U.S. military to walk a red carpet parade outside of the Opry House prior to the show. The parade will be open to the public, and you can find tickets to the concert by visiting www.Opry.com.